Jamie Richmond is still discovering her way in the romantic relationship with the mysterious Malone when her best friend Linda Davis comes home. The beautiful Linda suddenly finds herself swept up in a whirlwind romance of her own with an older man, Dr. Vincent Schulte. But not everything is all champagne and flowers for Linda. She suddenly realizes she’s become the target of a stalker. The problem escalates. Jamie is determined to protect her friend, but even she is at a loss when Linda suddenly disappears one cold, snowy day. The police are searching for clues. Despite Malone’s attempts to keep Jamie on the sidelines, she is driven to find out what happened to Linda and where she could be. Despite her best intentions, Jamie has once again put herself in danger while trying to unravel the mystery. Vanishing Act by Mark Love is described as a romance but I'm not sure why. Although the main character, Jamie Richmond, is in love the relationship is obviously established and doesn't particularly change or progress during the story. It would be better classified as suspense as the main story line is about a stalker and a kidnapping. 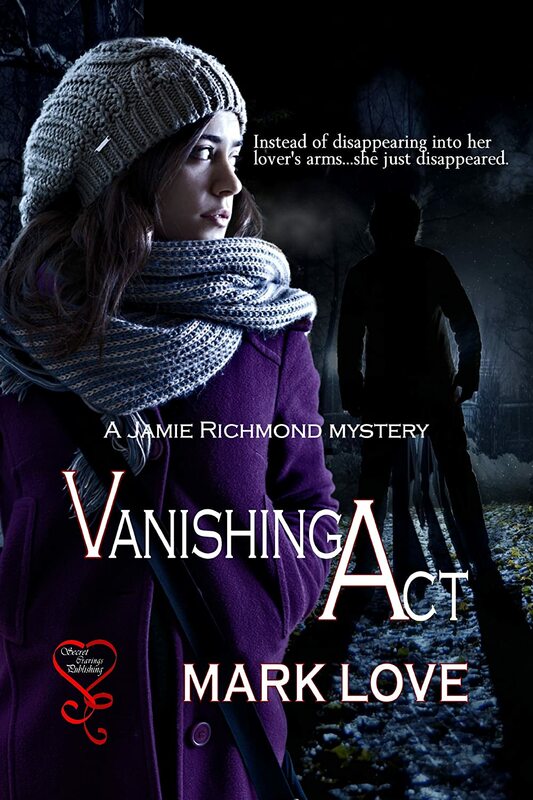 Vanishing Act opens well with a prologue that drew me in and made me want to read on. The rest of the story is good, it moves along at a reasonable pace and there is plenty of action. The characters are well drawn. I did find parts of the plot unlikely and the characters' constant use of each others names during dialogue irritating - especially as each character has more than one version of their name and the 'mysterious' Malone (although I wasn't quite sure what was mysterious about him) is called something different in every chapter.